Evo Pill Review: A Gimmicky Supplement for the Uninformed. 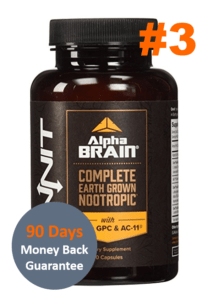 As you have guessed by all of the reviews we have written on this nootropic review site, we love nootropics. Brain pills are the new frontier of supplements and chemicals for humans, and this is a very timely shift. Most of the highly paid jobs that exist now are knowledge work jobs. This is a drastic change from every just a hundred years ago when most of the jobs in the world were labor-intense. At the turn of the 20th century, most people needed to stay healthy enough to go out into the fields to tend crops or go into the city to construct buildings or go to the factory to work on an assembly line. Having to take off work if you were sick meant lower pay and fewer opportunities. So, the medical advancements during that time were largely focused on keeping people healthy and able-bodied so that they could help build a productive society. However, times have changed, and most people now work with at least one computer screen or mobile phone screen in front of their faces. This is why we have seen the rapid advancements in nootropics just during the last 40 years or so. Increasing our ability to do more high quality knowledge work can provide ample opportunities for financial and personal success. Based on this theory, we need great nootropics that can help achieve a higher cognitive level than what we can normally achieve. Sadly, taking Evo Pill will not provide this cognitive boost. 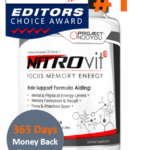 The pseudo-supplement Evo Pill is trying to cash in on the newfound interest in nootropics by stuffing in numerous ingredients into a single capsule. 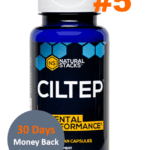 This particular formulation has no evidence to show it does anything to help one’s cognitive abilities, and there is no information on the manufacturer’s website to give us any confidence that Evo Pill works at all. 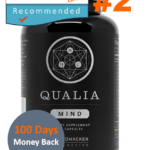 One of the most important elements of any nootropic supplement is the ingredient list. For Evo Pill, the ingredient list is far too long to produce any recognizable effects. In fact, Evo Pill could be confused for a multivitamin, as the effects felt after taking it are very similar to those provided by your daily Centrum. 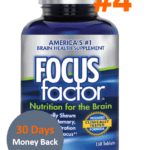 We have reviewed other supplements that think nootropics customers are ignorant about nootropics. Well, we have to say that the makers of Evo Pill are wrong. We know the difference between including 0.15mg of something and 15mg of that ingredient. 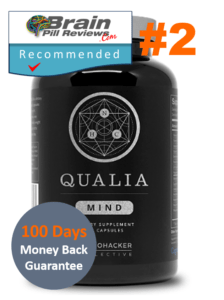 As you know, most of the benefit of taking a supplement is in getting the substances that the brain needs that it does not currently get enough of. Evo Pill ignores this basic concept by presenting a nootropic supplement with a tiny amount of each ingredient in the formulation. We had to do some digging to find out more about who developed Evo Pill. After all, we have to place some blame for this on someone. And we wanted to make sure we did this correctly. The company is well-known enough to be noticed by the Better Business Bureau (BBB). The BBB can provide great support for your company if you need the extra recognition. However, the BBB can also show the world that your company is engaged in dodgy business practices. With Evo Pill it is clearly the latter. There were several complaints lodged on the BBB website about deceptive marketing practices involving Evo Pill. We hope that the makers of Evo Pill take note of this and do not go down the path that other nootropics supplements have – being fined by the FTC. Speaking of the makers of Evo Pill, we found that Evo Pill’s website is managed by Mr. Frederick Guerra who uses a popular web host to manage the appallingly childish Evo Pill website. Mr. Guerra has other generic domain names that focus on the supplement industry. So we have to assume that he is just putting up websites to try to get some money off of them. This tactic leads us to downgrade Evo Pill as nothing more than a throw-away pill. 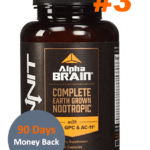 This type of brain pill casts a shadow on the entire nootropics industry and detracts from genuine products such as those that contain Noopept or racetam substances like piracetam or aniracetam. As you can see from our review, Evo Pill cannot be recommended. It stuffs too many ingredients into one capsule, and there is no positive effect on cognitive abilities. 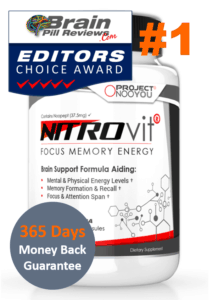 Overall, Evo Pill is just a gimmicky supplement trying to cash in on the recent focus on knowledge work and cognitive enhancement. Avoid this one. As you can see from our review, you can not recommend them Evo Pill. It stuffs too many ingredients into one capsule, and there is no positive effect on cognitive abilities. 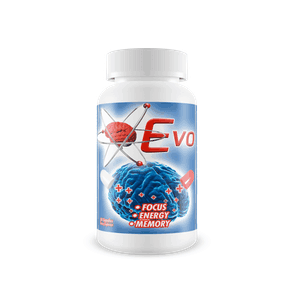 Overall, Evo Pill is just a gimmicky supplement trying to cash in on the recent focus on knowledge work and cognitive enhancement. Avoid this one.